The site and all the associated rights are fully owned by S.A. Personal-Shopper-Bangkok.com. Any reproduction, whether full or partial, requires the company’s approval. However, hypertext links to the site can be made without a specific request being required. These General Conditions of Sale define the contractual relation between S.A. Personal-Shopper-Bangkok.com and their Client and the two parties accept them without reservation. These General Conditions of Sale supersede and cancel all other conditions on any other document unless there is a specific written prior derogation. These conditions are only valid for items sold on our store, not for special orders that customers can make and for products that we specifically have to find for them. The photographs of the products are not contractual. Personal-Shopper-Bangkok.com is not responsible for any errors that may occur. The automatic registration systems are considered as sufficient proof of the nature, the content and the date of order. Personal-Shopper-Bangkok.com will confirm to Client that the order has been accepted using the e-mail address that Client has given. The sale is not completed until the order has been verified. Personal-Shopper-Bangkok.com has the right to cancel any order from a client with whom there is a dispute relating to payment for an earlier order. The information given by Client when making an order is their responsibility: in the event of an error in the delivery address, Personal-Shopper-Bangkok.com can not be held responsible if it is impossible to deliver the order. The client must add Personal-Shopper-Bangkok.com Email address to its contact list to be sure to receive all the messages related to his order. After confirming an order, Personal-Shopper-Bangkok.com agrees to send the items within a maximum of 72 working hours. Parcels are sent by post land or airmail service, and by express mail when required, depending on the rates and Client’s preferences to deliver the order to the address given by Client. All orders made with Personal-Shopper-Bangkok.com are for the personal use of Client and Client or the person receiving the order. Personal-Shopper-Bangkok.com accepts no legal responsibility if tax payments are not made by Client. Delivery is made by post office in accordance with Client’s choice for delivery to it’s country when available. Delivery is made within the time frame agreed with Client by the product being handed directly to the addressee, or if they are absent, to another person authorised by Client. Client has no right to claim damages for any lateness of delivery. Personal-Shopper-Bangkok.com is released from its obligation to supply by reason of a force majeure which may include but is not limited to flooding, landslide, earthquake, tsunami, war, riot, fire, strikes, accidents and supply failures. The goods are dispatched at addressee’s risk. Always check your parcel upon arrival. You have 48 hours to claim any shortages or damage to the carrier. For reasons of availability, an order can be delivered in several parcels to a Client but Client only pays for one delivery in this case. If Client requires delivery to 2 addresses, he must make two orders and each will have its own delivery charge. We Track every single shipment so that your order arrives on time and we will do our best to provide support on any shipping issue that would happen. 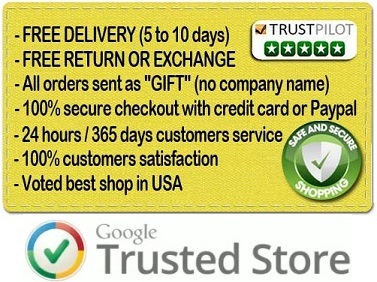 We are committed to delivering effective, high-quality products and we offer customers a 30-day money-back guarantee. If you’re not fully satisfied with any product for any reason, simply return the unused item within 30 days and you’ll receive a full refund. It’s our way of guaranteeing your complete satisfaction. To receive your refund you must follow our guidelines exactly as we instruct. This is to ensure that you will be refunded without delay. Failure to do so may result in having to wait up to 90 days for a refund. Client has 30 days (from the delivery) to return their order. If the client wants a refund for his purchase, he should contact our customer service at http://www.Personal-Shopper-Bangkok.com/contact before sending the article(s) back in their original packaging, intact and accompanied by all the accessories. Personal-Shopper-Bangkok.com Customer Service will give the client instructions and other needed documentation. Should Client use this right of cancellation, Personal-Shopper-Bangkok.com will refund all payments made by Client, excluding the cost of returning the goods and the cost of delivery. The refund will be made within 30 days. Any return of goods will have to be done within the 30 days following the delivery. If not, the refund or exchange will not be possible. The prices are in US Dollar ($US) currency. The price invoiced to Client is the price shown on the order confirmation sent to them by Personal-Shopper-Bangkok.com. The order confirmed by Client will not be considered as effective until the bank payment centre has authorised it. In the event that this centre refuses it, the order is automatically cancelled and Client advised by e-mail. Additionally, Personal-Shopper-Bangkok.com has the right to cancel any order from a client with whom there is an unresolved dispute. It should be noted that seeking an agreed solution does not interrupt the “short delay” of legal guarantees nor the contractual length of this guarantee. It should also be noted that as a general rule, with the reservation that the courts can change their approach, the respect of the clause of this contract in respect of the guarantee assumes that Client has met their financial obligations to Personal-Shopper-Bangkok.com. Should this fail, Thailand courts are the only competent court whatever the place of delivery and whatever means of payment is accepted. Personal-Shopper-Bangkok.com cannot be held responsible for a failure to respect the current regulations or laws in the destination country. Personal-Shopper-Bangkok.com responsibility is always limited to the value of the product in question, valued at its date of sale and this without the possibility of claims against the trademark or the manufacturer. The collection of personal information is compulsory for mail order sales and this information is essential for preparing and delivering orders, preparing invoices and guarantee agreements. A failure to provide this information will result in an order not being accepted. As required by the law (Data protection law), the use of Client’s personal data must be declared to a National Commission and Client has a right of access, modification, correction and deletion of data about themselves which they can use by contacting S.A. Personal-Shopper-Bangkok.com. Additionally, S.A. Personal-Shopper-Bangkok.com agrees not to communicate, free of charge or for payment, the addresses of its clients to any other third party. Copyright © Personal-Shopper-Bangkok.com – All right reserved.